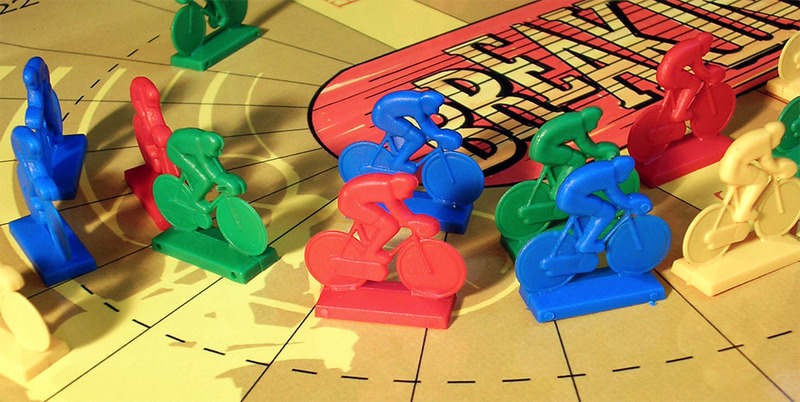 This game, which looks like a track cycling game although it is not exactly one, is a favorite among gamers due to its innovative (I mean, when the game was released) mechanics and the absence of dice or other randomizers. The game has been available from Fiendish games almost (?) uninterrupedtly since it was first issued, although the presentation has changed somewhat. As far as I know, the box on the right (picture with red background) is the one originally released in 1991, while the box on the left (picture with the black background was sold in the early 2000s (at least that is when I bought mine). I wonder if the boxes they are selling now are still like that. 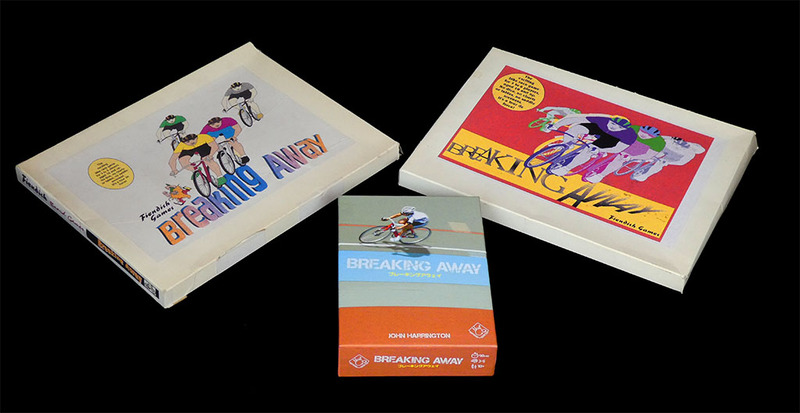 There is also a Japanese boxed edition of the game (issued by New Order in 2016) with new plastic riders and a more professional presentation. Unfortunately, it is difficult to find outside Japan and expensive to have it shipped from Japan. 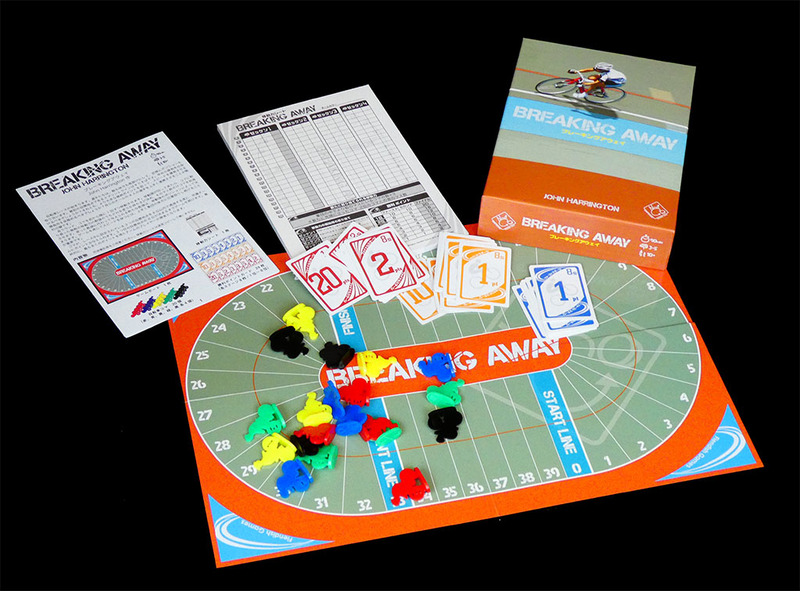 Unlike most track cycling games, this one does not offer the possibility of playing different types of races: in this game you play a team race over 100 squares. The rules mention three "stages" but they are just intermediate sprints which award points th the first 8 riders to cross the line. The finish line awards points to the first eight riders to (twice as many points as intermediate sprints) and the winner is the team with more points when the race is over. Of course we do not find an event with these rules in track cycling. 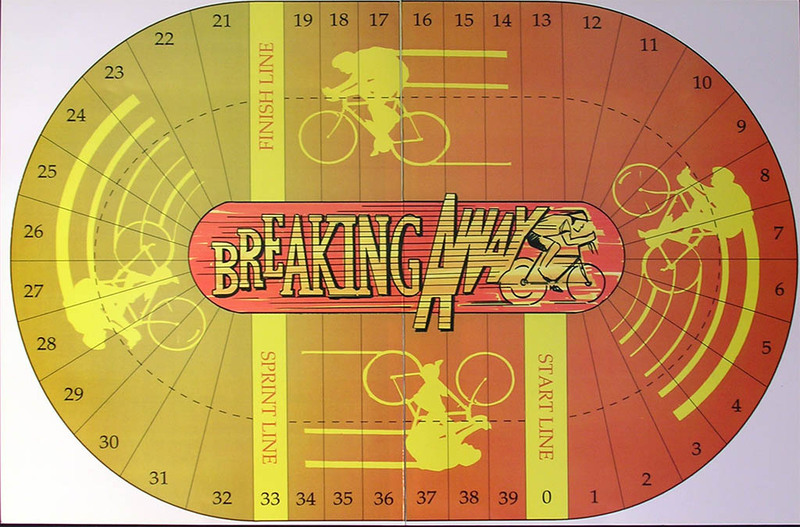 However, since the the board is velodrome-shaped and there are no climbs or other outdoors-cycling elements, I still file this game under in the track cycling secrtion. Judging by the picture on the box of the Japanese edition, they are of the same opinion. 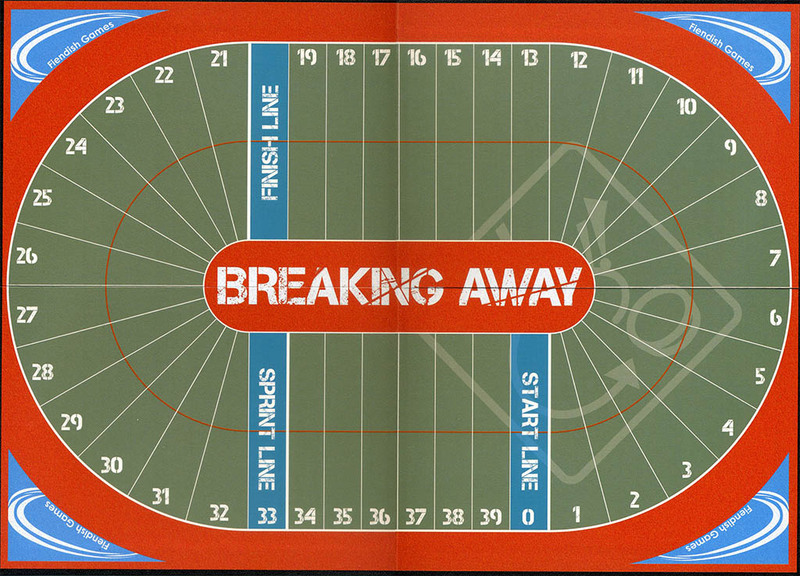 Keep in mind though, that the veredict is not unanimous: among the fan-made boards available on the web (check the "unpublished games" section) some are not velodrome-shaped. But then we also find an "official" variant (designed by Ton Segers, it is on Fiendish Games website: see link below) called "Madison". As it name implies it is based on a Madison race, which is a track cycling race indeed. The original Fiendish game board (above, white background) measures 54 x 45 cms ands is made of plasticised paper. 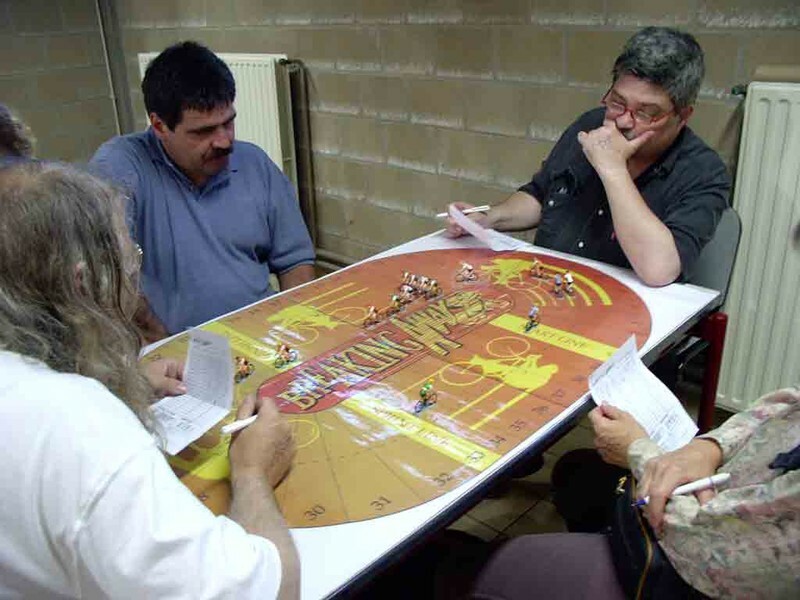 The nicer board below, though it says "Fiendish Games" on the carners, s the smaller (42 x 30 cms) board by New Games Order. It is made of cardboard. A surprising difference between the games is the number of players. 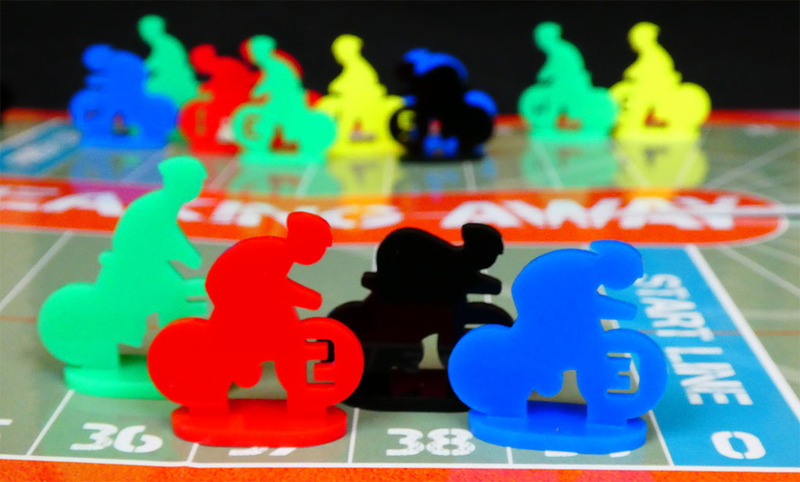 There are six teams of four riders in the European version of the game (which, as you can see, uses the common plastic cyclists found in many recent games) while there are are only five teams in the Japanese version. These are the contents of the NGO box. Needless to say, this is the version I will use next time I play the game (as long as I don't need six teams, of course). The Japanese riders are specially made for this game. They are the same size (28 mm) as the European ones. 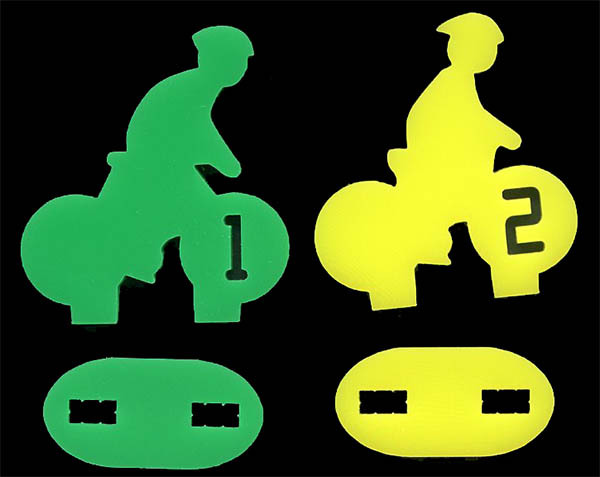 They are made of two interlocking pieces of flat plastic. Numbers are incised in the front wheel and each team has a different ridinf positio. Blue and black teams seem faster, don't they? 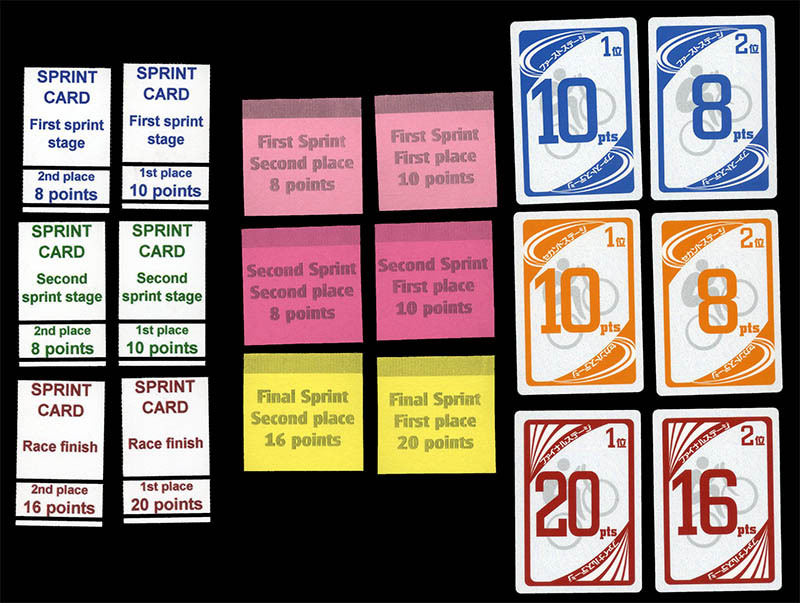 Compare the sprint cards of the three versions of the game. Obviously the Japanese are the ones on the right. The ones in the middle belong to the 1991 bow (the one with sticker with the white background). The ones on the left, of course, belong to the box with the red sticker. As I mentioned above, this game has been a long-time favourite among gamers, and there is a number of home-made boards around. Here you can see an oversized board with hand painted Roger metal riders which belonged to the late Geert Lagrou. Geert is the dark-haired guy with the blue t-shirt.. The other players are Pierre Bertin (in black shirt), Bilou (bottom right, holding her arm) and a guy whose name I do not remember. This picture was taken in Zeldegem in 2006, the day I first met Pierre and Bilou.